Amazon has kicked off its new virtual currency – the excitingly-named Amazon Coins – to US customers today. To get things rolling, Amazon is depositing $5 (around £3.25 / AUS$5) worth of Coins into the account of every Kindle Fire owner, which amounts to about 500 of the imaginary tokens. This is the "tens of millions of dollars" that Amazon promised when the currency was first announced in February. 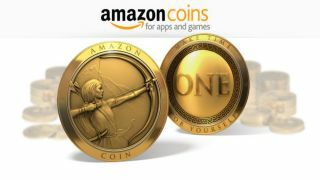 Amazon Coins are basically credits that you can use to buy apps on the Amazon Appstore as well as make some in-app purchases, with a 10 per cent discount on coins when bought in bulk. Meanwhile, app developers will still get 70 per cent of the money when customers buy with Amazon Coins and Amazon hopes the customer incentives will bring more developers on board. As a virtual currency, this is more comparable to the likes of Microsoft Points than something more self-contained such as Bitcoin. It's a big shame that these coins are totally virtual – the design is really cool. "We will continue to add more ways to earn and spend Coins on a wider range of content and activities – today is Day One for Coins," said Amazon in a statement. So that's the US sorted - but what about everyone else? We've asked Amazon about its plans for a global rollout as we'd be very surprised if one wasn't coming soon. We'll update you as soon as we know more.